Why did Norman Mailer stab his second wife at a party? Who was Edith Wharton’s secret transatlantic lover? What motivated Anaïs Nin to become a bigamist? Writers Between the Covers rips the sheets off these and other real-life love stories of the literati—some with fairy tale endings and others that resulted in break-ups, breakdowns, and brawls. Among the writers laid bare are Agatha Christie, who sparked the largest-ever manhunt in England as her marriage fell apart; Arthur Miller, whose jaw-dropping pairing with Marilyn Monroe proved that opposites attract, at least initially; and T.S. Eliot, who slept in a deckchair on his disastrous honeymoon. From the best break-up letters to the stormiest love triangles to the boldest cougars and cradle-robbers, this fun and accessible volume—packed with lists, quizzes and in-depth exposés—reveals literary history’s most titillating loves, lusts, and longings. You had me before the gifs, but the gifs sealed the deal. Especially the last one! LOL This sounds fantastic! ;) Fun read, for sure! I do love fun non-fic like this -- I'm also a sucker for trivia. Can't wait to dig into this one! 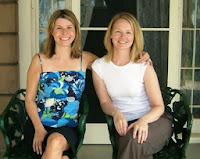 I think you'll dig this one ;) It's an easy, fun read! Amazing! I just can't resist some saucy gossip. Then this will be right up your alley Ellie! :D It's saucy, indeed! 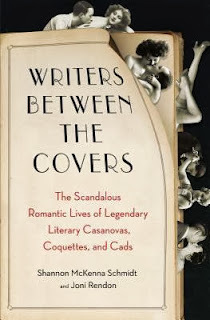 Ooh, Writers Between The Covers sounds scandalous and spicy and therefore a must-read! Gotta check it out. Oooh, I love a bit of gossip! Haven't heard of this one but will be checking it out. Ohhh man I gotta read this! You do! You do! You really do :) It's fluffy and fun. I missed seeing this one, but I Iove books like these. People really live some intense lives. Writers especially. Creative types, right? ;) Their lives always seem to be a bit more colorful! That does make sense. People who live such lives have a lot more inspiration to draw from! Love the gifs, and this book sound so interesting! ha! Writers Between the Covers sounds good. I do like juicy gossip from time to time. Sounds like fascinating, gossipy fun! Hahaha interesting! Especially if the mention of Edith Wharton and Anaïs Nin!